I remember working out out in the huge weight room in the basement of my high school. It was dimly lit, had a track around the outside, pegboards on the wall, and dozens of machines designed to help make us “better.” We’d go down there for “weight training” class, yet I can’t really recall a teacher being there. Whether or not one was present, we certainly weren’t directed as to what to do, other than a few charts on the wall and the small graphics on the weight machines. Not knowing any better, we sort-of tried all the machines, did some curls, and tried bench pressing until we couldn’t get the bar off our chests. We did this a few times a week, and – strange as it seems – we got better. Some of us got very, very strong. Weight lifting works wonders when you’ve never done it before. You know the rest of the story…eventually it didn’t work anymore, and we sought out advice from more experience lifters. Once you have any direction at all, you leave the wonderfully innocent place of not knowing what you are doing. This ends stage one of training programming: Anything Goes. Ironically, Level 1 is where most of us stay for our entire climbing career. Go to the climbing gym, do what our friends do, spend too much time on macho stuff like dynos, get strong despite our foolishness, and then plateau for the rest of our career and lament our poor genetics. 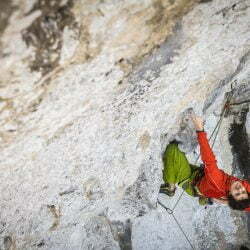 Once doing “whatever” stops working, the next logical step is to watch a video or witness a better climber’s training session, and try to mimic what he does. This stage is characterized by trying cool moves or exercises and tends to shy away from specific programming elements. In the weight room, this is where we see people trying split routines, arm day, etc. Often, simply changing the exercises allows us to bump our fitness forward a bit. Again, this doesn’t last long. 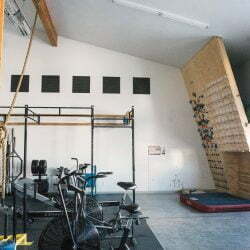 In the climbing gym, this stage is characterized by hangboarding, campusing, and using other specialized tools. Once again, the improvement comes not from any of the particular exercises as much as the fact that the program changed and the body has been forced to make adaptations. In my own life, this change came when I left high school and went to college where we lifted in a different gym with a different set of machines, and slightly smarter people to mimic. Yes being told exactly what to do can work, but there’s always the nagging question of “why?”. Why am I doing three sets of this exercise? Why can’t I eat beans again? Could I switch my rest day to Monday? When the questions start to add up, or when we start to modify the program, we inadvertently erode the strength of the plan. We start making decisions instead of taking orders. When this happens, we start either drifting back into the “anything goes” program, or we begin the transition into the highest level of program design, Template Training. Template programs are what elite athletes use. The template has some drawbacks for novices, but is really the only way an elite athlete should set up a plan. 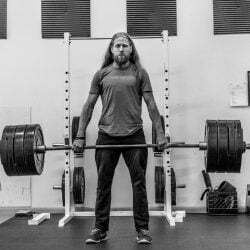 A novice lacks the knowledge both of the training for the sport and of his own performance capability to effectively judge variables in training. Most of the Climb Strong members train from template. When we use a term such as “Limit Boulder 45 min + HB, 4 positions, 3 x 3-6-9” an experienced trainee will know what level at which to boulder, what “HB” means, which hand positions to use, and will understand 3 x 3-6-9. 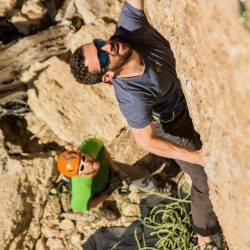 By following a template-guided plan, climbers can allow for unforeseen events, changes in goals, and days when they just aren’t feeling all that great. It allows coaches to program for more than one athlete, and gives a global view of whether a particular plan works across multiple populations.